Uncategories Government employees ni vay maryada 58 thi vadhari ne 60 karay tevi shakyata. 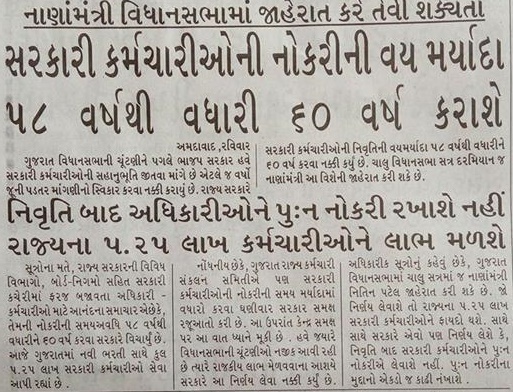 Government employees ni vay maryada 58 thi vadhari ne 60 karay tevi shakyata. →Government employees ni vay maryada 58 thi vadhari ne 60 karay tevi shakyata. →Dear Visitors, Now you can get JOb information & COMPETITIVE EXAM PREPARATION MATERIALS through edumahiti.com site Easily.We daily publish Useful Updates on our site edumahiti it is famous for competitive exam’s preparation.